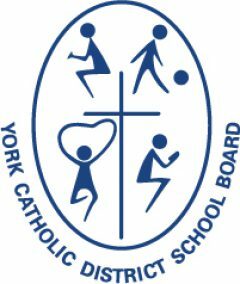 This Advent season, St. Angela Merici Catholic Elementary School students, under the direction of teachers, Ms. Roccari and Ms. Bagazzoli, collected non-perishable food items in support of the Vaughan Food Bank. 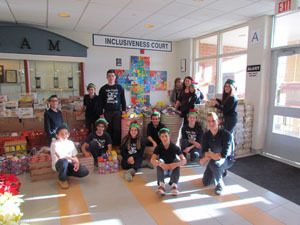 With one week left to go in its Advent food drive campaign, the Vaughan school had collected more than 6,500 food items! The Vaughan school also worked diligently to prepare 17 Christmas gift bags for 17 patients in the Bone Marrow transplant unit at the Hospital for Sick Children in Toronto. 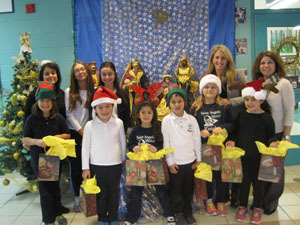 This initiative was very personal for the students at St. Angela Merici CES, as one of its very own students, Francesca A., successfully received a bone marrow transplant at the Hospital for Sick Children this past year, and benefitted from the wonderful care of the doctors and nurses in this unit. The school wanted to show its appreciation for the treatment Francesca received, and hope to help give children who will be spending Christmas Day at the hospital a special Christmas.